Enviro Concepts only stock wastewater treatment solutions that have been tried and proven worldwide. Storm water, garden irrigation, surface runoff and sewage are all types of waste water. While it is not the most glamorous of subjects, the treatment of waste water is key to sustaining the health of every human being as well as the environment. Treatment of wastewater is not as simple as putting it through a filter. In the case of waste water treatment, we need to analyse what type of wastewater is being treated and the requirements of the local laws to determine how much treatment is the treatment products and processes required in order to turn wastewater into Class A effluent. 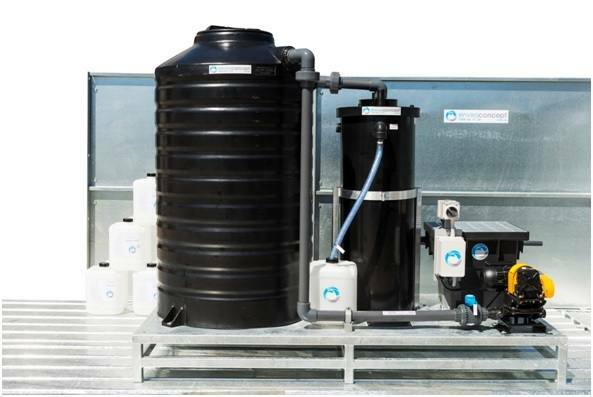 Enviro Concepts are able to customise our wastewater treatment plants to suit your needs and your budget. There may be the need for a wastewater treatment plant that produces a different level of effluent or even a smaller model that can be easily moved. We are sure to have the solution that you are looking for. Waste water is often discharged through the local sewer system in most urban and semi-urban areas. If your business is an industrial and manufacturing facility such as a mechanical workshop, manufacturer or farm, we can help you reduce the discharge costs and help you to meet the local discharge limits by treating your waste water before it is discharged. If you are interested in more information on our wastewater treatment systems please contact us HERE .